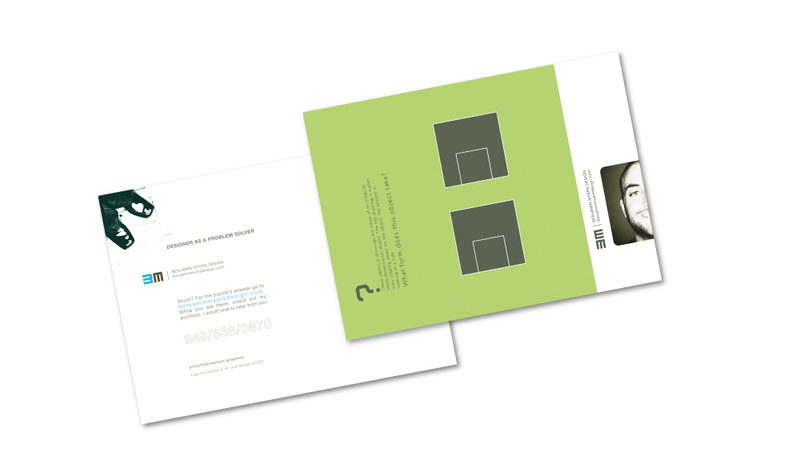 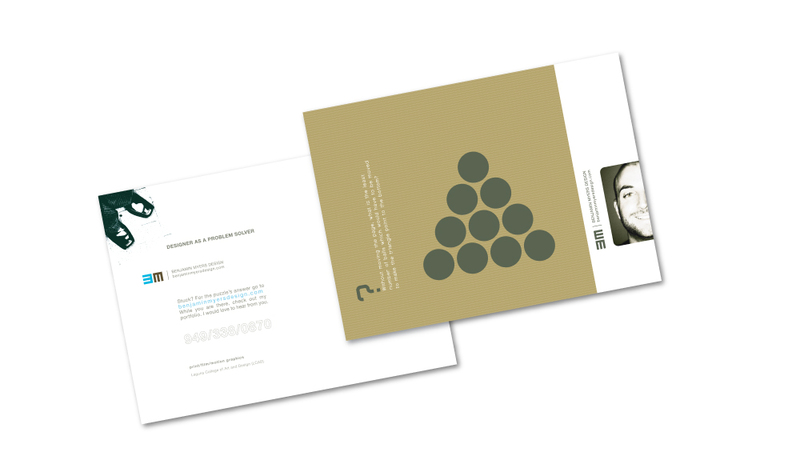 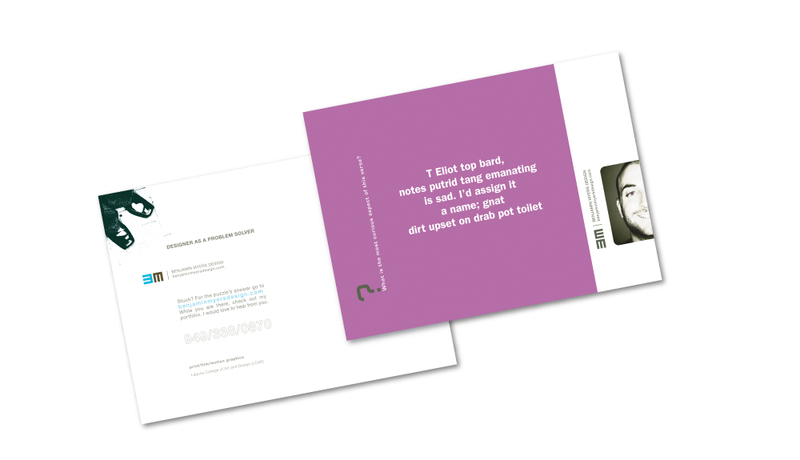 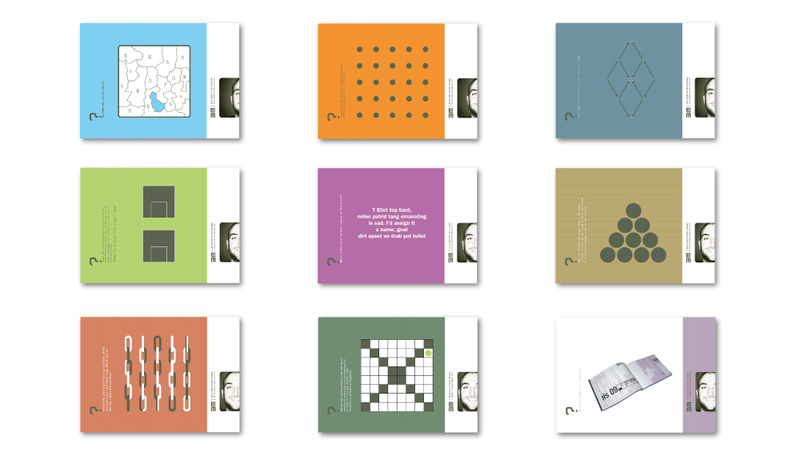 Created self-promotional postcards sent to design studios. 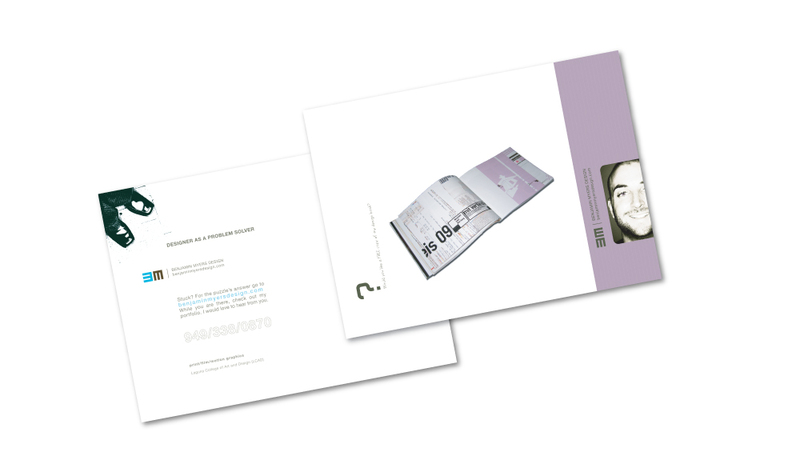 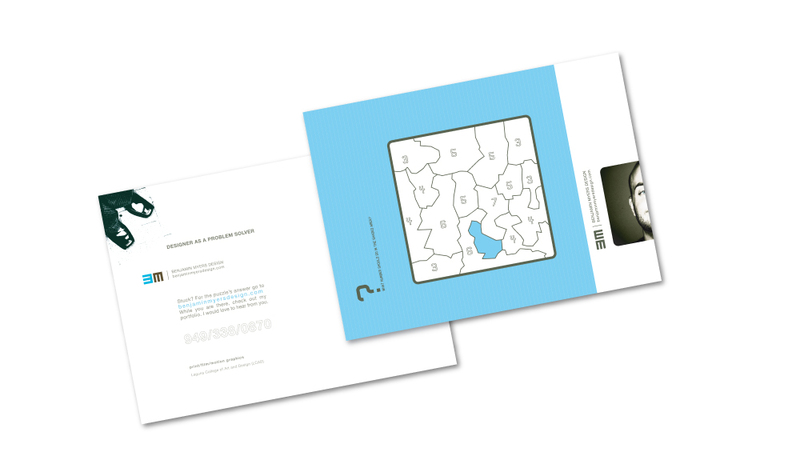 Each card contained a puzzle and contact information. 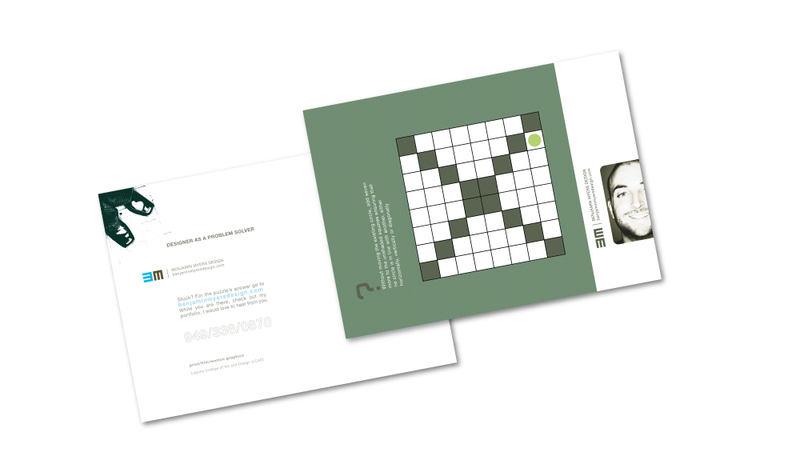 Answer to the puzzles could be found on my website, thus giving the recipient a chance to view my portfolio.